There will be an informational track meeting for students and parents on February 8th at 6:00 PM in the library. 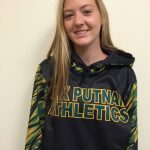 Audrey Bright Junior – 3.5 GPA Track and Field Audrey is currently 2nd in league/4th in state in the pole vault, 3rd in league/6th in state in the 100m hurdles, and 3rd in league in the long jump. 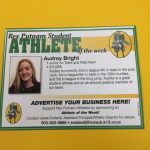 Audrey is a great student-athlete and an all-around positive member of our team.